Visit our easy-to-shop Boatman Group partner site through the link below! 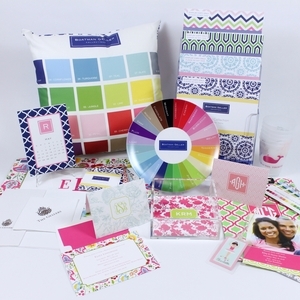 Invitations, stationery, household gifts, phone cases and much more! Boatman Geller was founded in 2002 by designer, Jane Boatman Geller. Jane combines her love of classic patterns with unexpected color combinations, creating a fresh new twist on the traditional. Sporting original designs like preppy plaids, modern graphic patterns, suzani�s and florals. The patterns, colors, and icons in the Boatman Geller collections embody Jane�s idea of �the good life�. Jane creates with the intent of giving others a fun way to �Live Your Style�.